Fourth grade students came to their second session of Project Peace with research on hero/peacemakers Gandhi, Martin Luther King, Jr., and Rosa Parks. 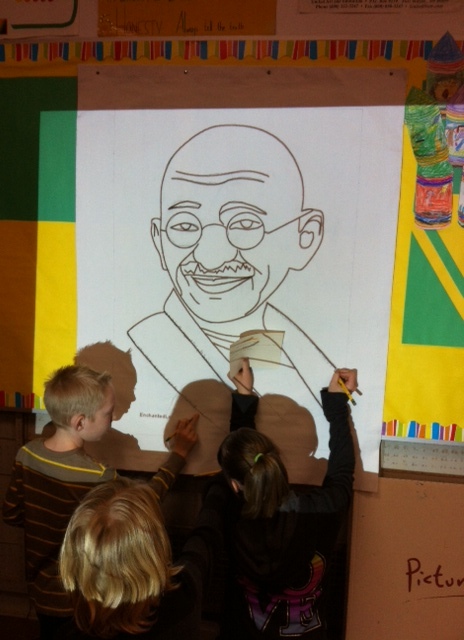 Students voted as a class to start sketching on canvas the projected image of Gandhi. 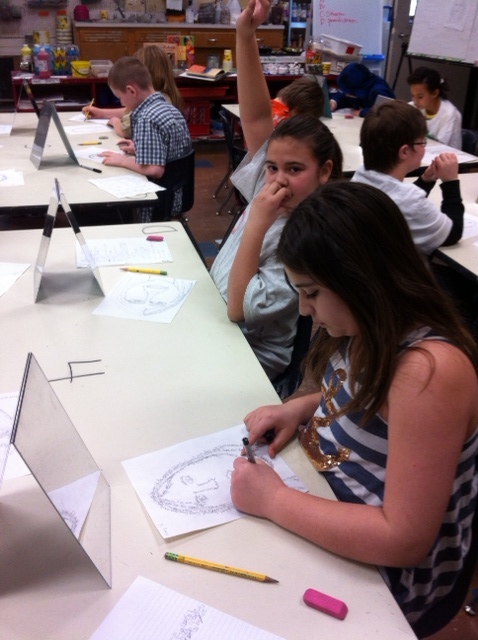 The other fourth and fifth grade classes will begin sketching Martin Luther King, Jr. and Rosa Parks. Once the line drawing of Gandhi was finished, students could begin layering text including biographical information and quotations by Gandhi himself. Gandhi said, “We must be the change we wish to see in the world” and “My life is my message”. His life was dedicated to a non-violent approach to working for social equality and political independence for India. 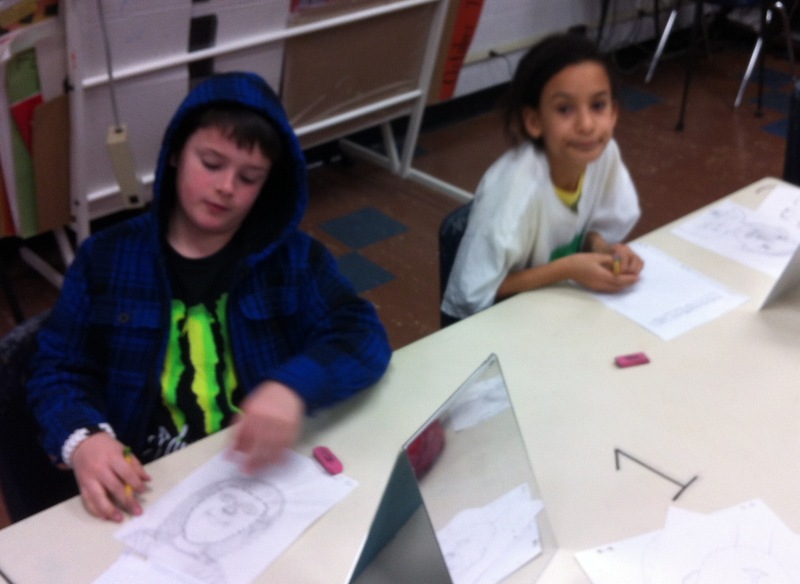 Students also continued to work on self-portraits layered with personal attributes and personal goals for being a hero/peacemaker. Students used the inspiring actions of Gandhi (as well as MLK, Jr., Rosa Parks, and other personal heroes like older brothers and sisters) to inform their own goals to show empathy, promote peace, care for others, speak out against violence including bullying, listen to others, make others feel safe, build trusting relationships, and be confident in yourself. Students are continuing to do an excellent job challenging themselves to think deeply, reflect on actions for peace, and give examples of ways to speak out against bullying. Each of us has the power to impact our community for the better; let’s continue to see these words of peace in action at Mills Lawn! ← First Graders Painted 50+ Messages of Peace!